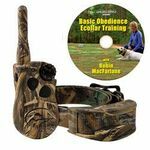 SportDOG WetlandHunter Training Collars are officially licensed Ducks Unlimited products, and SportDOG will donate a portion of each sale of its Wetland Hunter series of training collars to Ducks Unlimited. "Our Wetland Hunter products have been popular with DU members, and we have donated numerous units to DU fundraisers over the past few years," said Lance Tracy, SportDOG Brand Director. 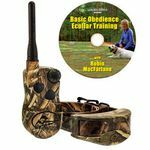 "Conservation is a major focus for the people at SportDOG. This partnership better defines our relationship with Ducks Unlimited and allows us to give something back to an organization whose work benefits us and so many of our customers."